Yesterday I hosted a Tech Conference VimM#4 at Tokyo, Japan. VimM#4 is the biggest Vim conference in Japan. More than 50 programmers gethered there. There were 11 talks. I gave a talk about my blogger.vim. 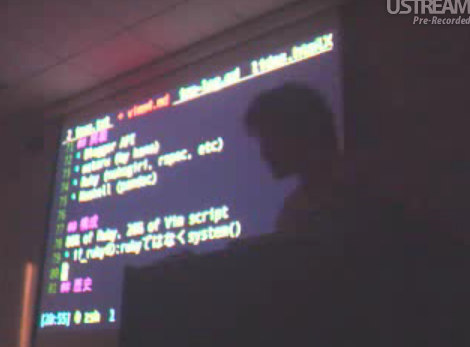 See the datails of all VimM#4 talks in http://vim-users.jp/2009/06/vimm4-ann/(in Japanese). I'll show a brief summary below in English. kana wrote a systematic document on a magazine "Web+DB Press (Aug. 24)"
Write your summary on your blog, and trackback here! When I start planning to hold VimM#4 on the beggining of July, I've never imagine that it would become such a big meeting. There are a lot of programmers who use Vim every day. 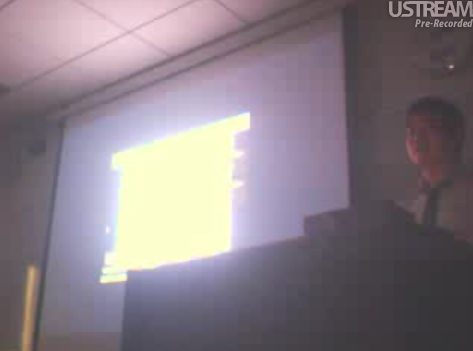 The meeting was broadcasted on ustream. 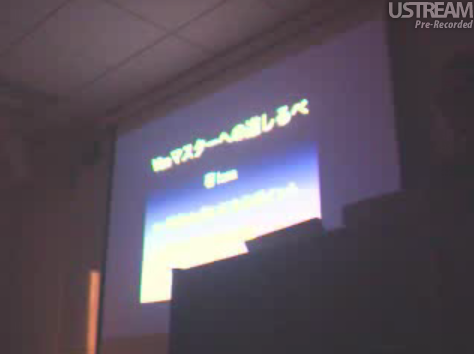 People in other area of Japan also watched it and gave questions us on IRC. People in Austria also watched us! Thanks to harajune and Tokyo university people who were glad to provide us a room. Thanks to speakers. Thanks to kana and mickey24 who broadcasted VimM#4 on ustream. Thanks to some attendees gave us a lot of snacks and drinks. This entry is also written in Japanese in the planet vim-users.jp.